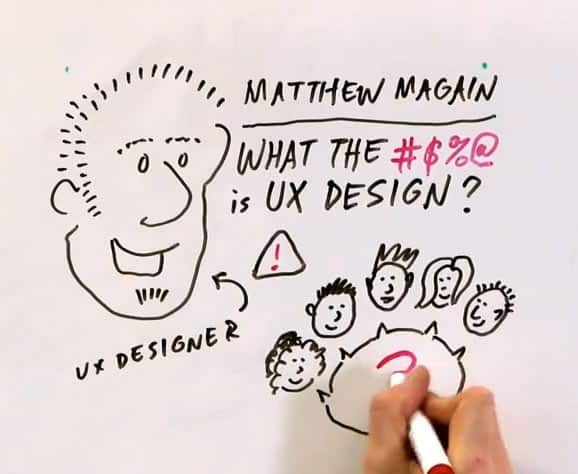 By now you are probably familiar with the concept of Ask the UXperts, but for those of you who aren’t, it is a casual online chat-based session featuring a different expert (talking about a different UX related subject) each time. One Hour. One Expert. All your Questions Answered. The star of yesterday’s session was Aleksander Czyż, CEO of Attensee (a great visual heat mapping style tool that aims to increase conversion) and we discussed designing for conversion and some strategies to make the most of the few seconds that the average user will spend on your site. It was a really interesting session and I learned a lot about just how little time people actually spend on a site, and what we need to do in order to grab their attention. Things got even more interesting when the pictures of scantily dressed women were introduced into the chat, but you’ll have to read the transcript for more on that. Here is a list of resources that Aleksander offered up during the session the session. I highly recommend that you check them out, especially the NN/g study. If you were unable to make the session (or if you’d just like to revisit what we discussed or check out some of the resources mentioned), you’ll find the full transcript below. If you’d like further information about future sessions, make sure you join our community where I’ll keep you in the loop. The next session in the Ask the UXperts series will take place at 5pm on Monday 30 June PDT (check your time zone here) and will be with Donna Spencer who will be answering questions on Information Architecture. Can you give us a brief rundown on the concept of designing for conversion? Is it about placement of items on the page? awesome question for a start Sarah! Are there specific rules to keep in mind? the more likely is that they’re going to stay longer to get to know your product better, register and eventually -convert! Hi Aleksander! Love that last bit. What do you find gets people attention? Is personalization anything anybody cares about anymore? Agreed. I was thinking of Amazon for some reason and how they integrate that in the design. Do you find what catches attention on the first time visit doesn’t in subsequent ones? Sure but we still would have to know exactly what people’s intentions are when they visit, don’t we? We can grab visual attention but does that translate into click conversion? Aleksander, I like that – user needs is a big one. Nice, I agree with you the short first impression tests are great and with the right prompt, it is indeed powerful testing. what are some of the design elements that come across as giving? Can you expand on FUD? So the key points are to imagine what the user will want to know, display those in such a way that they will be the first things that are looked at, and to ensure that the page gives a vibe of giving rather than taking. Feel free to get a plug in! Do you think it’s best that that stage happens up front, or once the design has been established? Does peoples’ behaviour change over time? They don’t consistently consume the site in the same way? We can’t afford for people to spend less than 5 secs on our sites! Sarah, do you mean if the visit several times their attention span is shorter? Yeah, I was curious as to why we’d need to keep testing. That would mean the assumption is that people’s behaviour is changing over time. Matthew Magain: Hey Matt. It’s a small turn out, but we’re talking about some awesome stuff. Sorry I couldn’t be here earlier! Ah right. So it keeps an archive of previous tests that you can compare? Nice. Aleksander, have you gotten people to track an entire journey with Attensee? So Aleksander is Attensee focussed on collecting qualitative data as well (e.g. comments, questions/answers of participants) or just quantitative data? I can guess where this is going! So here’s a question—what advice do you have for people when choosing which goals to focus on? Should you start with an easy win—Facebook Like, follow on Twitter, email signup—or just jump straight into converting them to transact? I’m definitely going to go through the transcript of this chat when it comes online to read through your advice and resources. Huge thanks to Aleksander because it’s the middle of the night for him right now!